Dive into adventure with the Little Tikes™ Lil’ Ocean Explorers – 3 in 1 Adventure Course. This 3 in 1 Adventure Course stimulates and entertains baby throughout key developmental milestones: sitting, crawling, and standing. 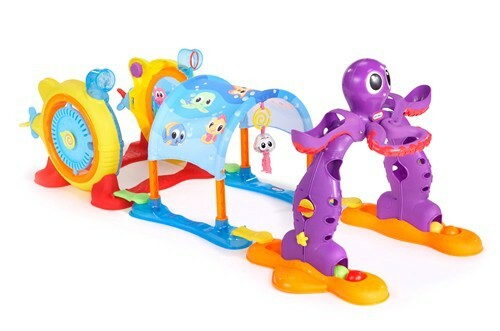 Baby can first sit and explore fun rattles and spinners, then crawl through a sea themed canopy to stand and play with their new octopus friend. With over 20 encouraging sounds and phrases, your little one can build the confidence to tackle any adventure after this course! If you are looking for an fun toy that will intrigue your little one’s curiosity and grow with them, then I suggest that you take a look at the Lil’ Ocean Explorers 3-in-1 Adventure Course. Although the Lil’ Ocean Explorers 3-in-1 Adventure Course is rated for a child ages 6 to 36 months, I recommend the product from the onset of the earlier ages. Although a toddler might still be interested in the Lil’ Ocean Explorers 3-in-1 Adventure Course, its life span as a toy is greater if introduced from the earlier months on. I could see a toddler outgrowing the toy quite quickly. I have read this aspect in other reviews as well. Having said all that, I can see the younger kids who are learning to crawl, sit, and stand just loving the Lil’ Ocean Explorers 3-in-1 Adventure Course. There is so much to do on the Lil’ Ocean Explorers 3-in-1 Adventure Course and the colors are intriguing and attractive. Of course the Lil’ Ocean Explorers 3-in-1 Adventure Course has sounds to help make playtime fun. 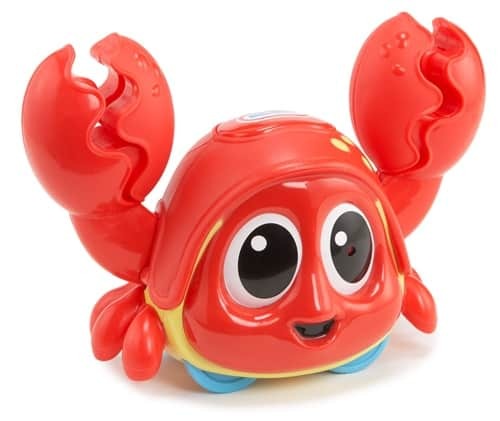 The octopus will make sounds and phrases for your little one which is quite adorable. I think the octopus is quite cute. Kids always seem to love tunnels and forts, so the tunnel in the Lil’ Ocean Explorers 3-in-1 Adventure Course is a cute way to encourage crawling and movement. On the far end from the octopus, there are a number of tactile stations for your little one to peek through, click, and more. The Lil’ Ocean Explorers 3-in-1 Adventure Course is meant to grow with your baby and engage them with each stage from sitting, crawling, and standing. I think that the Lil’ Ocean Explorers 3-in-1 Adventure Course would make a perfect gift for any new parents or for the new mom at her baby shower. Overall, I do recommend the Lil’ Ocean Explorers 3-in-1 Adventure Course for the little ones who are going through the sitting, crawling, and standing stage. If you follow me regularly, you have read my reviews of the L’il Oceans Explorer Catch Me Crabbie review. I also reviewed the Little Tikes Tumble Train. I am very excited to announced a Little Tikes Holiday Toy Box giveaway that will include one Little Tikes Tumble Train, one Little Tikes Lil’ Ocean Explorers, and one Lil’ Ocean Explorers 3-in-1 Adventure Course. The prize package total value is $135.00. This giveaway is open to residents of Canada over the age of 18 (excluding Quebec). Please ensure that you read the full terms and conditions found at the bottom of the entry form. My little grand daughter would really love the Lil’ Ocean Explorers™ Stand ‘n Dance Starfish™. My son would have so much fun with the Tire Racers™ – Monster Truck. My son would love to have the Jeep Wrangler Toddler to Twin Bed. I visited the Little Tikes website. My daughter would love the Anchors Away Pirate Ship! I would hide buried treasure in the sand for her to dig and sift to discover. She would be so thrilled! Lil’ Ocean Explorers™ Crawl ‘n Pop! Turtle™ is another that I think my great nephew would like. My little guys would go crazy over the Cozy Coupe. My son would also love the Cozy Coupe. 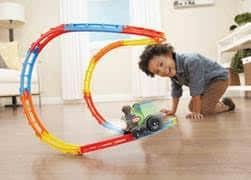 I would really like to get the Little Tikes Tumble Train, my little one would love it! My daughter would love the Princess Gears toy…so cool! I really like the Little Tikes Kitchen. Provides hours of entertainment. The Little Tikes Tunnel ‘N Dome Climber looks like a toy they would love! I think the Large Table & Chairs would be great. Another item that caught my eye was the Scooteroo, my granddaughter will be a year old in Dec. and should be walking by then and this would be perfect for her! !